Trouble in the kitchen between your cats? Feed all cats in a totally separate areas, Close any doors between them if you need too or even erect a screen. If your cat is microchipped but the Surefeed feeding bowl that opens with the cats chip. The bowls are expensive but very much worth it. 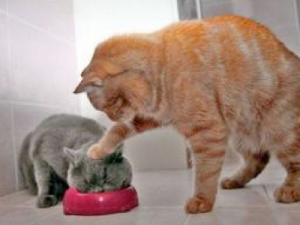 Buy a specialised bowl that stops the larger cat from eating so fast. These bowls are designed for dogs initially but can be used for cats. Google slow eating cat or dog food bowl and many options wil come up in the search. If you are a cat owner who is having some issues over food bullying or any other issues then help is at hand. It can be frustrating dealing with cat issues on your own. 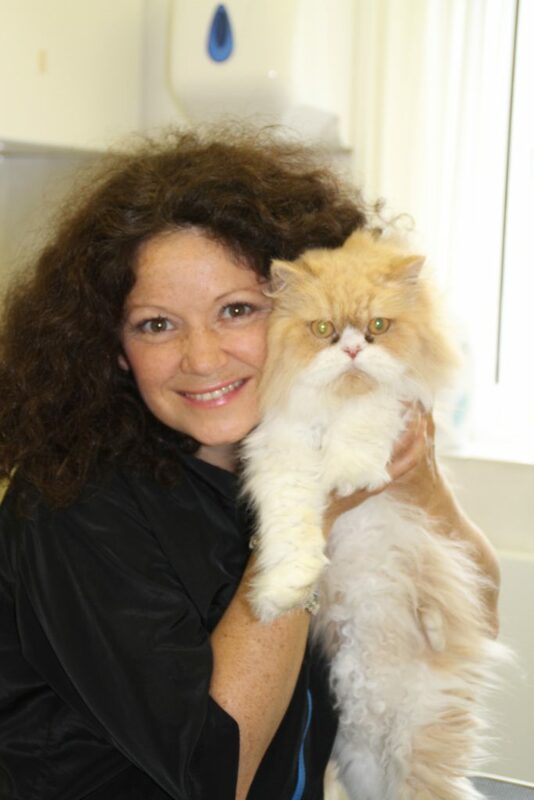 Anita Kelsey conducts feline behaviour home visits in and around London and is happy to assist you. All referrals are through your vet but are easy to set up. Please initially contact info@catbehaviourist.com and your enquiry will be answered asap.